At our previous home, before we started moving our blogs here ahead of that platform closing, we predicted many times that as soon as the USA pulled its troops out of Afghanistan, the Taliban would regroup and take over the country again. It gives us no pleasure to say "We told you so." The latest losses underline the warnings of western diplomats in the region that the Afghan government has little authority outside Kabul and is simply not strong enough to hold the nation against Islamic extremist forces. Since international troops ended most combat operations last year, Afghan forces, now fighting extremist largely alone and they are not winning. Police and army units have been engaged in combat with Taliban Guerillas for the past three weeks in the districts of Lashkar Gah, Marjah and Nadali in Helmand, the Islamist movement's traditional strongholds. Although up to the present held out against Taliban efforts to take the provincial capital Lashkar Gah, they have not been able to repel the rebels from around the city. "Soldiers from an Afghan army brigade in Station area have joined the Taliban with their equipment and weapons," Helmand Governor Mirza Khan Rahimi told reporters. He said a team had been sent to the town of Sangin to investigate the incident. 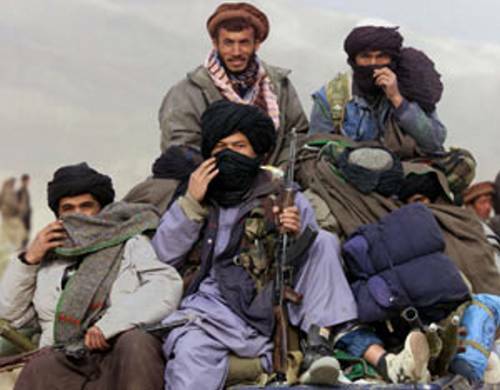 For the Taliban, Qari Yousuf Ahmadi said that five commanders and 65 army soldiers "repented their mistakes and surrendered to Mujahideen", bringing five armored personnel carriers as well as weapons and ammunition. Since the fall of the key northern city of Kunduz, which the Taliban briefly controlled in September, the government of President Ashraf Ghani has come under mounting pressure as extremists continue to make gains in rural areas. Thousands demonstrated in Kabul this week after seven members of the Hazara ethic minority were ritualistically executed by Islamist militants.